Each and every slot machine that you play at the online casinos will have their very own RTP (return-to-player) percentages attached to them and these will determine the odds of you making a profit during a session playing them. The higher the RTP, the lower the edge the house has over you and, therefore, stand a better chance of either walking away in profit or at the very least, minimising your losses. Many online slots will readily display the RTP of their slots or will allow the online casinos hosting the slots to display it but other slots will not be quite as transparent as others and will make it harder for their RTP’s to be known. Luckily for you, we have put in all the groundwork and have come up with 31 of the very best online slots in terms of the RTP offered. These will range from around 96% and will go right up to some extremely impressive numbers as high as 99%. 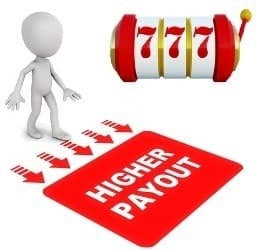 When you consider that some online slots have RTP’s in the late 80 and early 90 percent ranges, you will quickly see why these are the online slots you should be considering the next time you hit the online casinos. Slots from NetEnt are featured a good number of times on this list but none will be able to beat it for RTP. Offering a staggering 99% return-to-player percentage, and a progressive jackpot that can grow to become huge, it is little wonder that this classic slot is still so popular despite being around for five years now. There are no bonus features of note and the graphics are pretty basic due to it being a classic slot but that combination of supreme RTP and that random jackpot is a surefire winner among players that like to play very simple slots at the online casinos. Get spinning for as little or as much as £1 and £10 respectively! Many of you will have grown up playing the ever-popular board game called Monopoly and now you can enjoy the slot version of the game that could see you enjoying an RTP as high as 99%. Developed by Barcrest, this 5-reel, 20-payline slot features a Big Bet bonus round that allows you to enjoy 5 spins at that improved RTP. Other features include a free spins round, progressive multipliers, epic spins, persisting wilds, wild reels and locked wilds. All of these bonus features and a minimum RTP of 96% can be enjoyed for as little as 20p per spin or anything up to a max bet of £500 per spin. Ooh Aah Dracula by Barcrest is an interesting slot as it offers players the chance to play in two different game modes. Players can either buy 5 spins of the reels for a lower price which will have an RTP of 96% or spend a little bit more for 5 spins at an RTP of 99%. Whats more, players can take advantage of a lucrative free spins rounds that will see you enjoying 15 free spins with additional benefits added such as extra wilds. There might not be a bonus game on this video slot but with a jackpot of up to 5,000x your line bet and a betting range of between 10p and £500 per spin, you will have no shortage of fun as you spin the reels. Thunderkick has been responsible for a number of high-quality slots over the years but 1429 Unchartered Seas is undoubtedly one of their best. This slot first hit our screens in 2014 and due to its high RTP of 98.60%, this 5-reel, 25-fixed payline slot is still hugely popular at the online casinos. Players can bet as little as 10p per spin or a max of £100 if their bankrolls can handle it. As you spin the reels you will see symbols such as mermaids, dragons and ships which can bring you good wins as well as a free spins round that could reward you with between 10 and 50 free spins. NetEnt has been responsible for a number of the highest RTP slots around and Blood Suckers, the scary 5-reel, 25-payline slot is one of their very best. With a return-to-player percentage of 98%, some super-smooth graphics and a spooky theme, this is one online slot that you are going to want to play – albeit with the lights on. 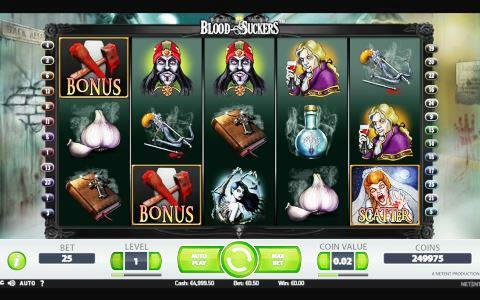 This slot allows you to play for between 25p and £50 per spin and the reels contain a variety of spooky symbols such as vampires, cloves of garlic and potions. The base game offers some good payouts but the 10 free spins you can win is where you are likely to pull in your biggest wins. Another slot that should be right at the top of your ‘to play’ list is that of Böb: The Epic Viking Quest for the Sword of Tullemutt by NetEnt. This is a great looking video slot and one that not only has an exceptional RTP of 98% but also a plethora of bonus features such as wilds, scatters, a click and pick mini-game and as many as 30 free spins with a 3x multiplier. 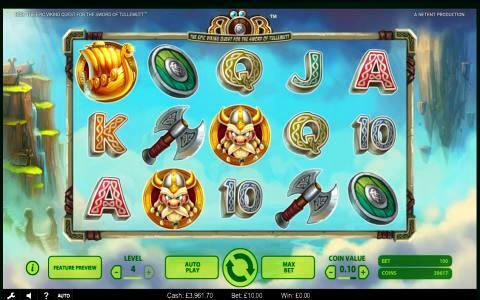 Developed exclusively for ComeOn Casino, this is themed on Norse mythology with you joining Bob the Viking on an adventure as he and you go hunting for riches. Go and take a look and enjoy some spins via a betting range of between 25p and £50 per spin. 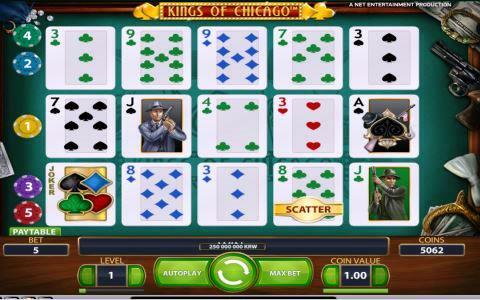 Net Entertainment is featured once again on this list with Kings of Chicago, a 5-reel, 5-payline slot that has a very handsome return-to-player percentage of 97.80%. This slot is fairly simple in design but it offers up quite a twist in how it is played. Instead of reels, there are playing cards with players have the sole aim of trying to find poker hands to bring in payouts. A wild symbol and a free spins round which will give either 10, 15 or 30 free spins will also appeal to players and with a min bet of 5p and a max bet of £50 per spin, players with all types of bankrolls will be able to enjoy the action. Developed by NextGen, Wolfpack Pays is a 5-reel, 243-ways-to-win slot that allows bets of between a min bet of 40p and a max bet of £80 per spin. With a very impressive RTP of 97.75% and some wonderful graphics that includes a picturesque backdrop, this online slot has become a very popular one among players at the casino. 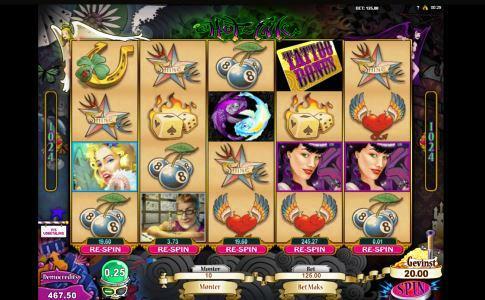 Where this slot differs from others is the is no free spins round as such as instead players are given a free spin after each win they land on the reels. Ultimately, though unrealistically, you could spin for free forever as you could just keep hitting win after win. Throw in the 243 paylines and this slot gives you plenty of different ways to bring in the wins. Although an older game from the NetEnt catalogue having been at the online casinos since 2008, Devils Delight still holds its own among more modern online slots due to its superb 97% RTP. 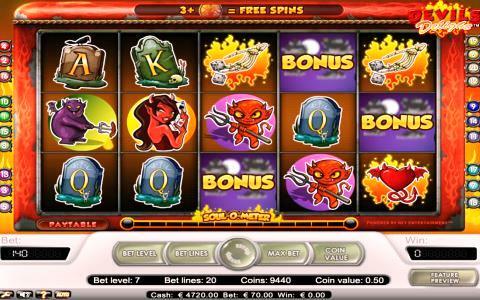 The symbols on the reels of this 20-payline slot have been drawn in a cartoon style and include a female devil, baby devil and death. You can bet between 20p and £200 per spin on Devil’s Delight and with three bonus rounds to enjoy, you have plenty to look forward to. Those bonus rounds include two different free spins rounds and a bonus mini-game while other features include multipliers and stacked wilds. If you are hoping for some magic to help you on your quest for big wins, Magicious, a 97.60% RTP slot by Thunderkick could be just the slot for you. A magician couple and their magic show is the theme of this video slot and you will be hoping that they will be able to conjure up some good profits as you spin the reels. 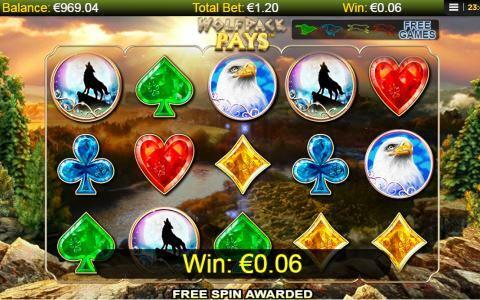 The graphics are of a good quality and with features such as stacked symbols, wild respins and wild symbols, there is more than enough to keep you enthralled as you go hunting for your payouts. Bets can be placed between 10p and £10 per spin. Hot Ink from Microgaming has been doing the rounds for almost five years at the online casinos now but this great looking slot is still holding its own at the online casinos. A big reason for that will be the combination of an RTP of 97.50% and a bunch of lucrative features such as free spins, a mini-game and a respin feature. Themed around tattooing, Hot Ink offers up 1,024 ways-to-win with the various symbols depicting a variety of different tattoos that people may get. If you do want to have a few spins on this slot, you will be able to do so with a betting range of between 50p and £125. 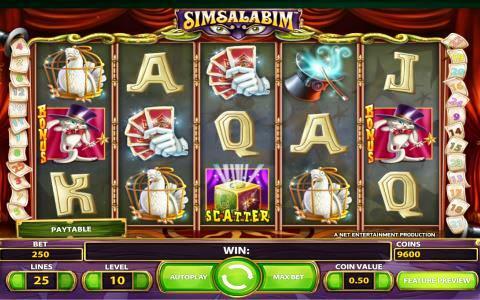 Themed around the world of magic and magicians, Simsalabim by NetEnt is another online slot that has a fantastic RTP of 97.50%. With 5-reels and 25-paylines, smooth and crisp graphics and a theme that will leave you mesmerized, this online slot is certainly one that is well worth trying at the online casinos. The betting range on this slot is between that of 25p and £250 per spin and there are two fantastic bonus rounds to enjoy as well. You will be able to unlock a free spins round that will allow to pull in wins for free while you can also unlock a pick’em feature which will give you some random cash payouts. 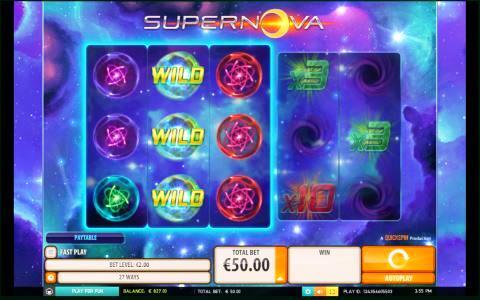 Anyone looking for something a little different when searching for a high RTP slot might want to consider Supernova from Quickspin. This 3-reel, 27-payline video slot has an RTP of 97.50% is different due to it being a 3×3 reel format but with the addition of two extra reels that will determine whether you get a multiplier of either 2x, 3x, 5x, 10x or not attached to any wins you find on the 27-paylines on the main reels. Graphically this slot looks great and while there are no bonus features of note, the reel format and 27-paylines ensure that wins come to you in a regular fashion whether you spin for 20p or for as high as £50. Developed by Microgaming and released back in 2016, Wild Orient is a 5-reel, 243-ways-to-win slot that has been given an oriental theme. As you spin the jungle animal-ridden reels, you will be able to get your hands on some excellent cash prizes due to its return-to-player percentage of 97.50%. 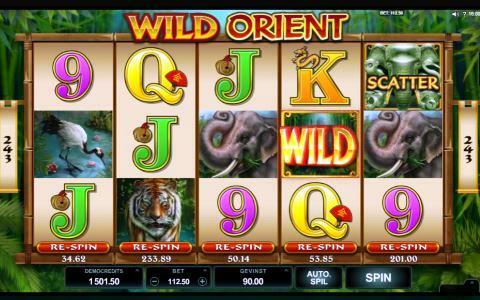 Graphically, this is a great online slot to look at with impressively drawn symbols including that of Elephants, Tigers, Pandas and Baboons. Set in a rainforest with the reels taking up most of the screen, Wild Orient will allow you to bet for as low as 20p and as much as £125 per spin and you can look forward to a lucrative free spins round that will give you 15 free spins with 3x multipliers attached to the wins that you land. Released in 2014, Arabian Rose by Lightning Box is a 5-reel, 40-payline slot that has a mouthwatering RTP of 97.50%. Containing a common slot theme of Arabian magic lamps and flying carpets, this slot is full of bright colours, decent graphics and plenty of bonus features for players to enjoy. You can unlock seven free spins which can be enhanced by additional wild symbols or multipliers which is a really neat touch. Players of varying budgets can enjoy this slot too as it has a betting range of between 40p and £400.00 per spin. Zombies is one of the older video slots on this list but it is still hugely popular at the online casinos mainly due to its very impressive RTP of 97.20%. 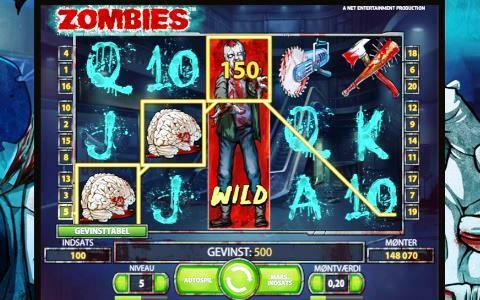 Developed by NetEnt, Zombies is a 5-reel, 20-fixed payline slot that has some dated but appealing graphics, a spooky brain-eating zombie theme and some enjoyable bonus features. Those features include stacked wilds, random wilds, and a free spins round that will give you multipliers as high as 10x attached to any wins found throughout the 5 free spins you are given. You can choose to spin for as low as 20p or as much as £200 and with such a good RTP, you might just find yourself taking home some decent profits. 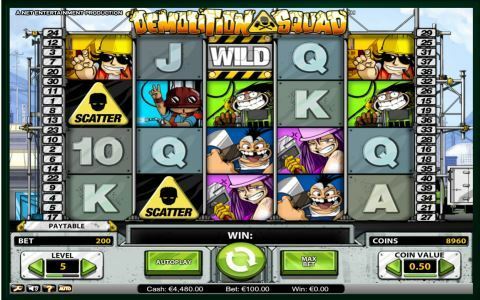 Demolition Squad by NetEnt is a highly entertaining 5-reel, 40-payline slot that only has a house edge of 2.9% due to an RTP of 97.10%. Containing good graphics and a bunch of bonus features, this slot is themed on the goings on that occur on a construction site and has a betting range of between 40p and £200. The symbols on the reels have all been drawn in a cartoon style and are mostly the main characters holding on to a variety of different demolition tools. As for those features, there are demolition wilds, scatter symbols and either 10, 20 or 50 free spins with a multiplier of 3x attached to any wins. 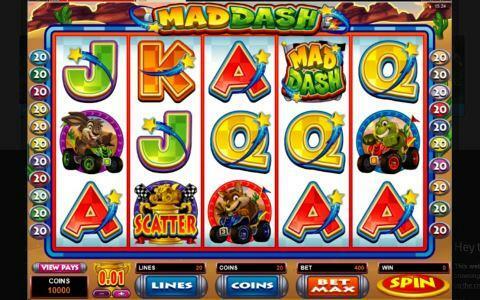 Microgaming are responsible for a number of slots on this list and Mad Dash is another of them with an impressive return-to-player percentage of 97.10%. This might not be the greatest looking slot but you should know that looks are not everything and it is whats inside that counts. Inside this one is that superb RTP, the chance to win 10 or 25 free spins with an impressive 4x multiplier, a racing mini-game and a max payout of 2,000 coins. Being able to bet from 20p and £500 per spin is also handy as practically any bankroll will be able to enjoy a number of spins. Ash Gaming has also got in on the act by developing another online slot in Sinbad’s Golden Voyage that has a very appealing RTP of 97.10%. Based on the 1973 movie Sinbad, this online has 5-reels and 164-paylines for players to go hunting for their big payday. 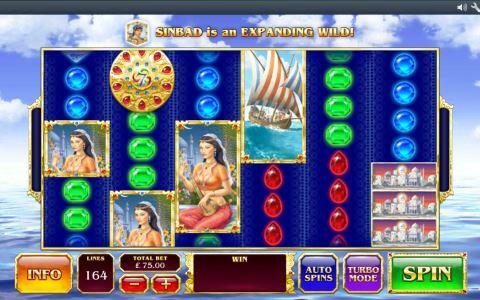 Those reels include a number of high paying symbols such as an anchor, Sinbad’s ship a princess and a giant bird. It is the games special bonus features that will bring most of the fun and wins however and these are expanding wilds and a free spins round that will give you seven free spins of the reels with the addition of reversed stacked symbols. Spins can be enjoyed from £1 to £250.00 with the former being quite bigger than most on this list. 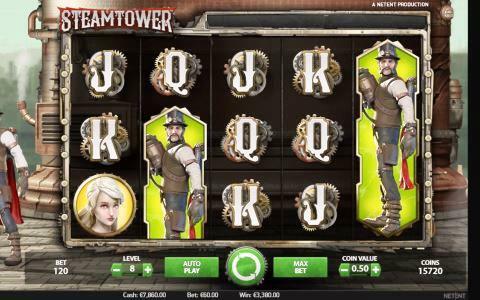 NetEnt is arguably the number one developer of online slots and when you see the graphics, animations and gameplay that Steam Tower provides, you will see exactly why. Furthermore, an RTP of 97% certainly does not hurt either as players will only be up against a house edge of just 3%. You are tasked with being the hero that saves the princess from the top of a steam tower using a grapple gun. Reaching the top of that tower is done during a free spins round where you will hopefully be able to climb the full 16 levels in order to save that damsel in distress. 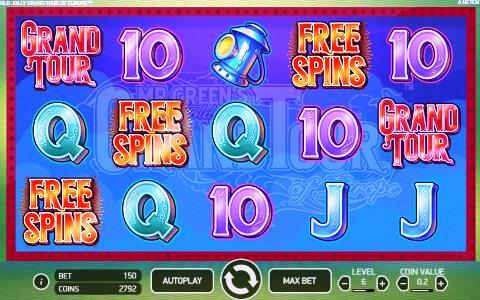 No matter your budget you will be able to enjoy this slot as it has a betting range of between 15p and £150 per spin. Developed by NetEnt in 2016, Mr Greens Grand Tour is a 5-reel, 25-payline slot that was designed purely to be enjoyed at the hugely popular Mr Green Casino. Wild symbols and free spins are the names of the game on this slot as you will be able to see expanding wilds, respins wilds, 2x wilds, and as many as 30 free spins during the games main bonus features. Spinning away on this enjoyable video slot costs a minimum of 25p but you can also bet as much as £125 per spin if you desire. The graphics are fairly basic but when you consider its excellent RTP of 97.01%, this can be ignored as you will have a very good chance of walking away in profit. A relatively new slot from NextGen, Xing Guardian was first launched in 2017 and is a 5-reel video slot that has 1,024 ways to win and a return-to-player percentage of 97.01%. 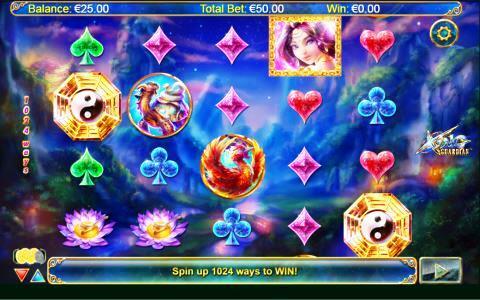 With an oriental theme, this slot features gorgeous graphics and animations and can be played for between 50p or £125 per spin. 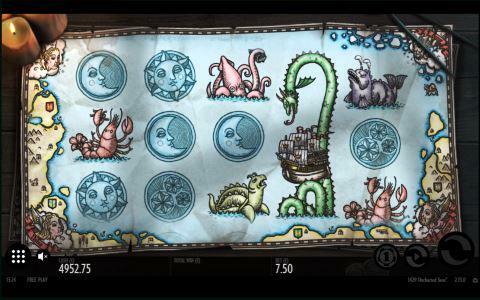 The reels are full of symbols such as a dragon, phoenix, lotus flower and turtles and the features you can expect to see include stacked wilds, locked reels and free spins. With such a great RTP and plenty of bonus features, Xing Guardian really ought to be tried out at your favourite online casinos. 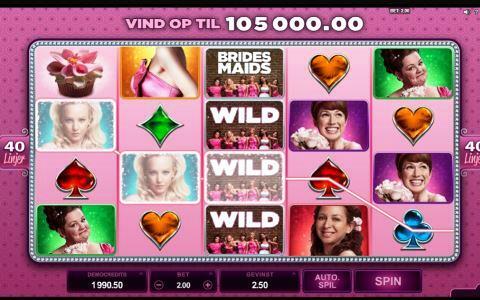 Even if you are not a fan of the 2011 movie called Bridesmaids, you are still going to enjoy this slot of the same name by Microgaming as it has an RTP of 97%. 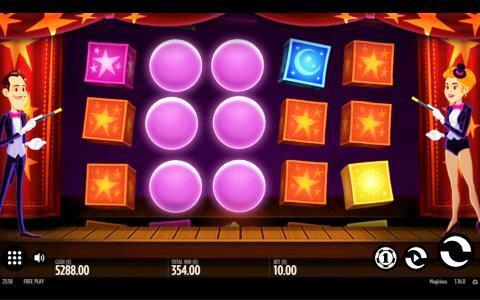 It comes packed with bonus features such as various different free spins rounds, two pick and select bonus games and multipliers. Wagers can be between 40p and £60 and you can expect to see all of the main characters of that movie across the reels as you spin them. Why not give it a go at your online casino of choice the next time that you see it? 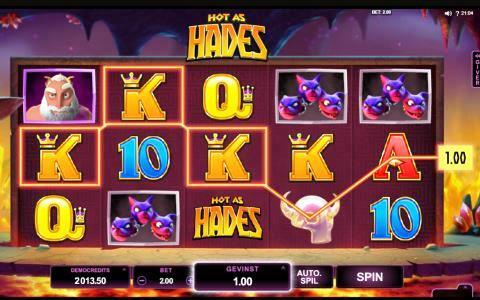 Hot as hades from Microgaming is another great option if you are looking for a high RTP slot to enjoy at the online casinos. Its return-to-player percentage is 97% and you can expect to see a number of bonus features across is ancient Greece theme. Animations and graphics have been done in a cartoon style and the symbols are all the various Greek gods that many of you will know well. Bets of between 25p and £50 can be enjoyed when spinning the reels of Hot as Hades and with excellent features such as free spins, wild symbols and an enjoyable mini-game, you are sure to have a blast when playing. 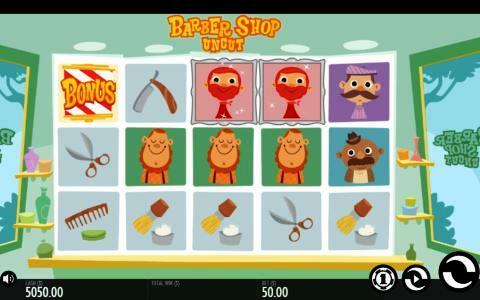 The name should give away the theme of Barber Shop Uncut as you find yourself looking for wins from a local barbershop. Here you will be able to enjoy an RTP of 97%, some cute yet good graphics and a variety of bonus features such as multipliers, respins and free spins from this Thunderkick video slot. Spinning the reels can be done with wagers of between 10p and £100 and the symbols on the reels are made up of a variety of your customers that have come in for a trim of some kind whether their hair or their facial hair. If you are looking for something completely different from the norm, Fruit Warp by Thunderkick might just be what you have been searching for. You could not really class this as a slot machine as such as it has no reels or paylines and is more like a video game than anything else. With an RTP of 97% however, does it really even matter what it is classed as? 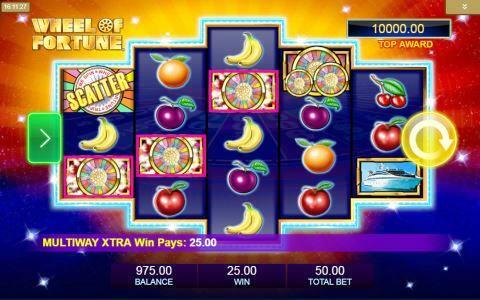 Each spin will see a selection of fruits being launched towards your screen and combinations of three or more will bring you payouts while five of them will start the bonus round. 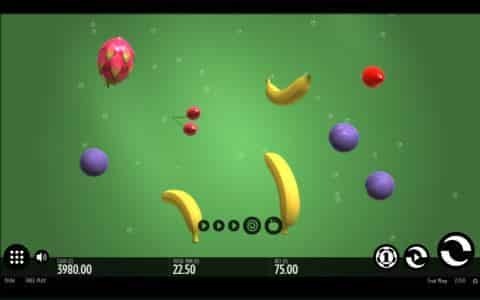 With great graphics and other bonus features such as respins, free spins, multipliers and a gamble feature, Fruit Warp is definitely worth a look if you like high RTP video slots. With an RTP of 97%, Wheel of Fortune: Triple Action Frenzy by IGT is another slot that gives you a decent chance of taking home some profits. Themed around the infamous television game show known all over the world, this slot will allow you to play for as little as 15p or as much as £15.00 per spin. On the reels are symbols that describe the prizes that contestants might win on the game show including cruises, holidays and cars but it is the bonus game you will want to unlock for some of the better payouts. That game is, of course, spinning the wheel of fortune itself in the hope of winning cash payouts with multipliers attached to them. 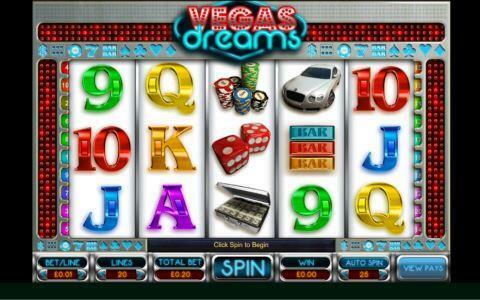 Vegas Dreams is an online slot by Big Time Gaming that also has an impressive RTP for players to enjoy. Set at 97%, the RTP on this slot is among the very best you will find at any online casino and when you throw in features such as the 15 free spins with a 3x multiplier, you really do stand a good chance of coming away a winner. Themed on Vegas and the gambling options that that city provides to players, this slot has some fairly basic graphics but this should not be too much of an issue due to the potential for wins as big as 10,000x the line bet. You can play for as little as 1p per spin too which means that any bankroll has the ability to enjoy the action. If you were to draw up a list of the best Net Entertainment slots of all time you can guarantee that Guns N’ Roses will be on it. With an RTP of 96.68%, fantastic graphics and animations and some lucrative bonus features, this is a game that all players should try out at least once in their lifetime. 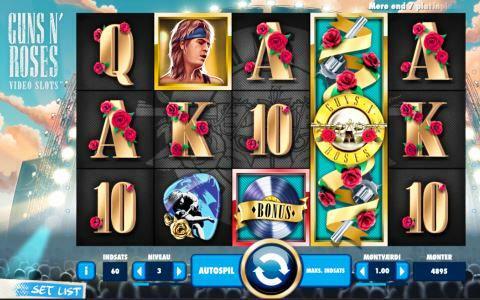 Themed on the famous rock band of the same name, Guns N’Roses can give you ten free spins, expanding wilds, stacked wilds, multipliers, a pick and choose bonus game and even a couple of bonuses that are activated at complete random. High Society is an online slot by Microgaming that will show you a little snippet of the kind of life you could have if you were to win big at the online casinos. Themed around the wealthy, this slot gives you a decent chance of coming out on top due to an RTP of 96.80% and a selection of bonus features. 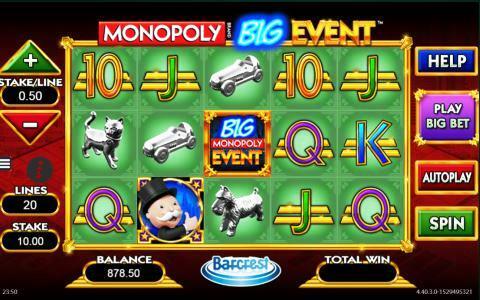 Released in 2014, this slot might have some of the more basic graphics you will see but the potential of winning up to 20 free spins with up to a 5x multiplier certainly makes up for that. Bet for as low as 50p per spin or wager as much as £10. Completing our list of the online slots with the best RTPs is Hound Hotel by Microgaming. The RTP on this slot is a handsome 96.25% and it was released in 2015. Containing solid graphics and a bunch of bonus features such as Dashing Wilds, Stacked Wilds, Expanding Wilds, Frozen Wilds and Wild Reels, Hotel Hounds is certainly worth a look. Themed around a hotel that is run by dogs and with dogs as the guests, you will rightly expect that most of the symbols are different breeds of hounds. While those symbols can help to bring in good payouts, the bonus features such as the free spins round are where you will see most of the action on this 25p to £1,250 per spin online slot.